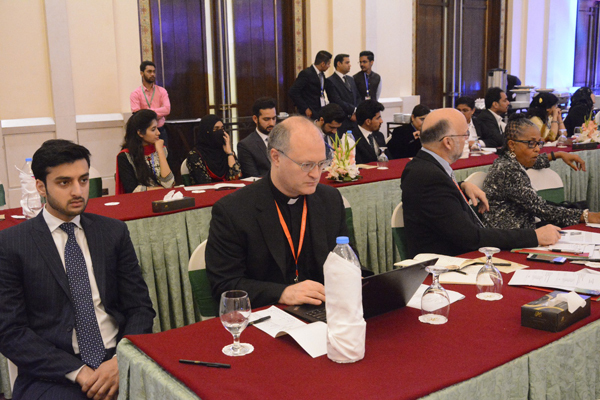 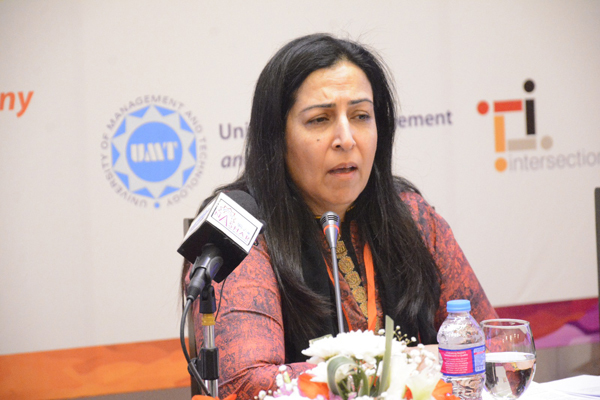 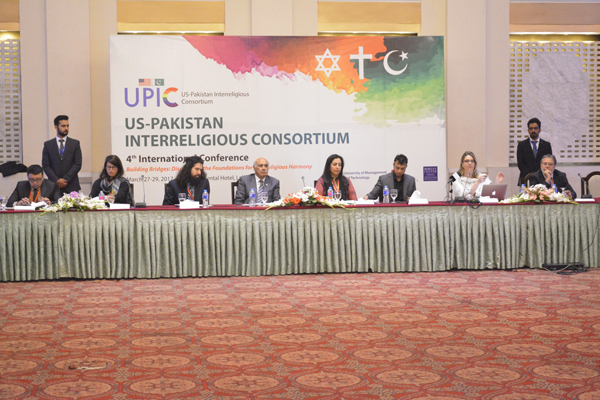 Vigorous debates, discussions and exchange of ideas marked the second day of the conference on UPIC Conference on ‘Building Bridges: Discovering the Foundations for Interreligious Harmony.’ A total of three plenary sessions were held on the second day of the Conference. 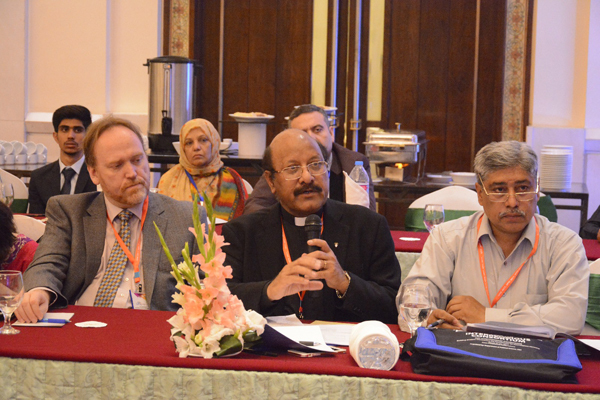 All sessions were followed by question and answer sessions, and concluding remarks by sessions chairs. 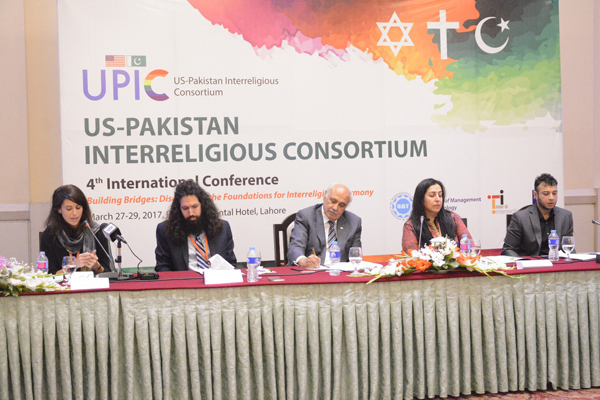 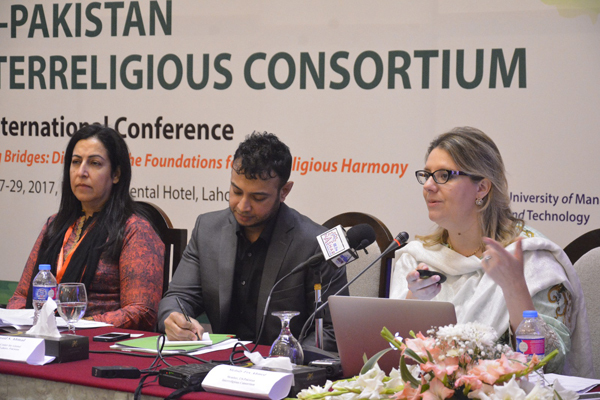 Plenary panel three on the ‘Role of Civil Society in Interreligious Dialogue’ was held on the day-2 of the conference. 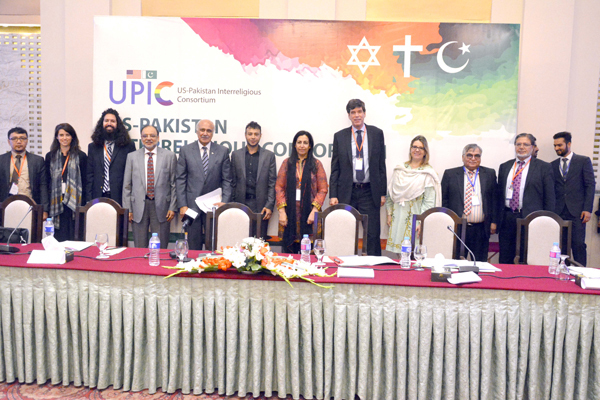 Speakers included Melody Fox Ahmed, Dr Zahid H Bukhari, Dr Farhat Uzair, Shams-Tabraiz Muzaffar, Meredith Smith, and Dr Syamsu Madyan. 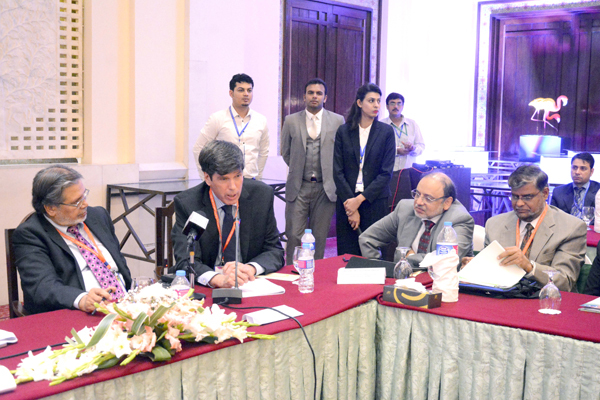 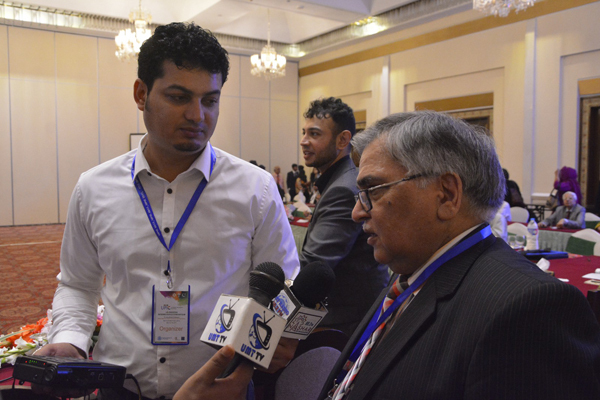 Session co-chair was Fakir Syed Aijazuddin (OBE, FCA), History, Author and Researcher, Feature Writer the Daily Dawn. 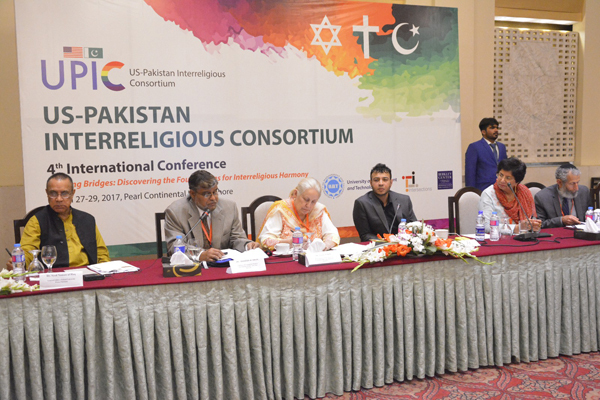 Plenary panel four on ‘Religious Tensions in the World Today: Pathways towards Conflict Resolution and Coexistence’ was chaired by Rev. 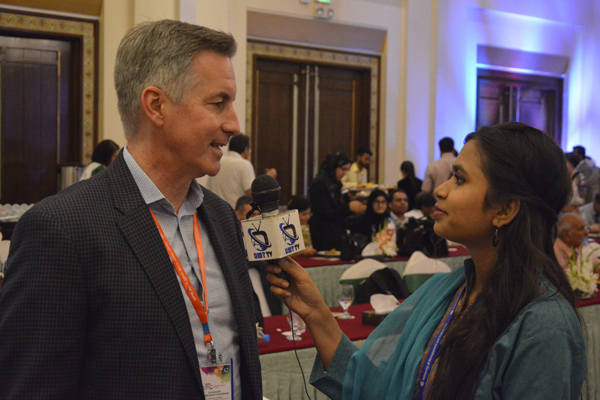 Dr Richard Hamm. 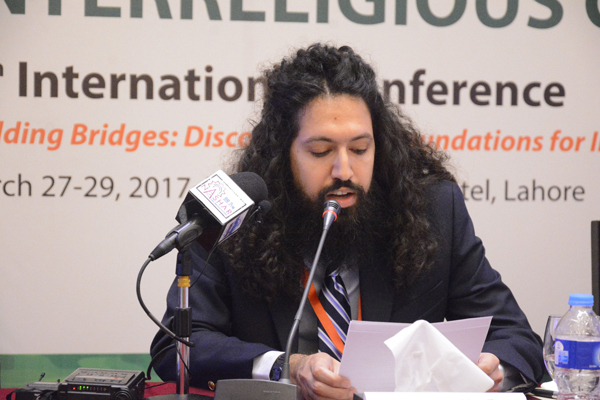 Speakers included Imam Malik Mujahid, Rev. 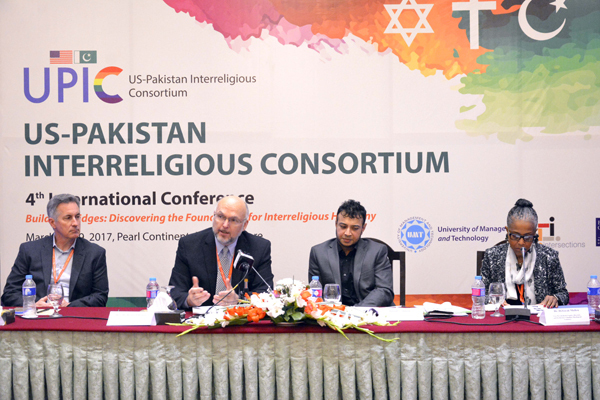 Michael Bos, Dr Deborah Mullen, Prof Omar Shaukat and John Esposito. 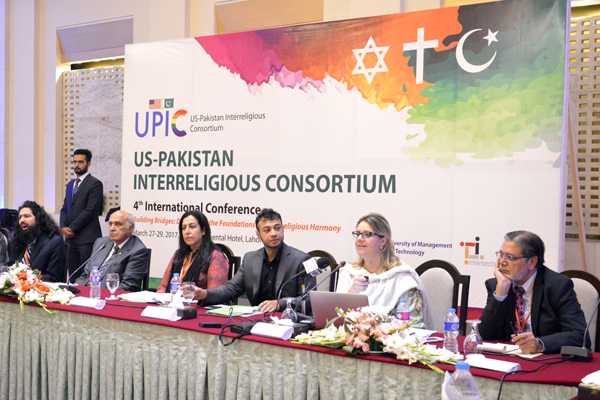 Discussions focused on ways and means to counter divisive narrative and co-exist peacefully. 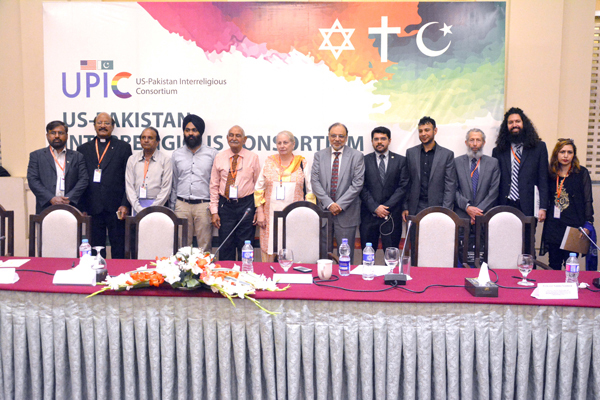 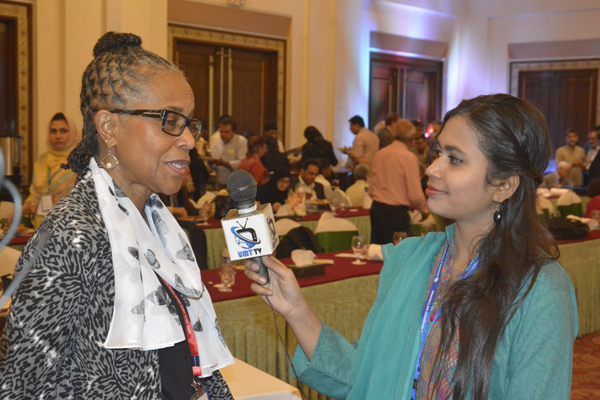 Plenary panel five on ‘Islam and the West: A Dialogue of Civilizations’ was chaired by Grace Clark, Professor of Religion and Politics, FC College. 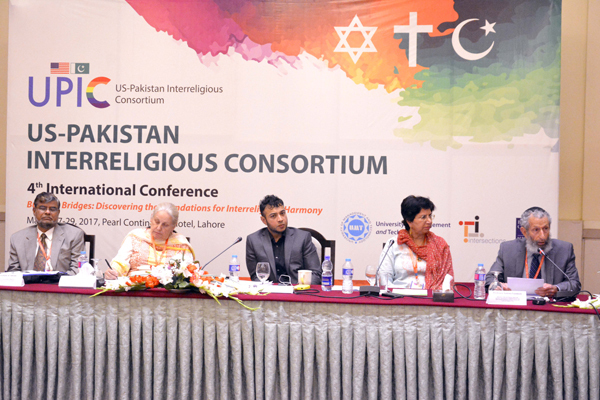 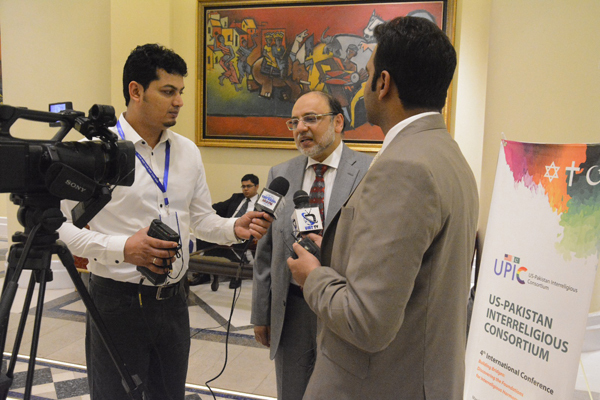 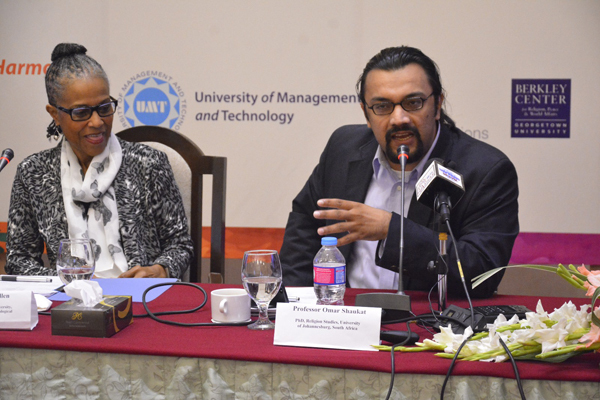 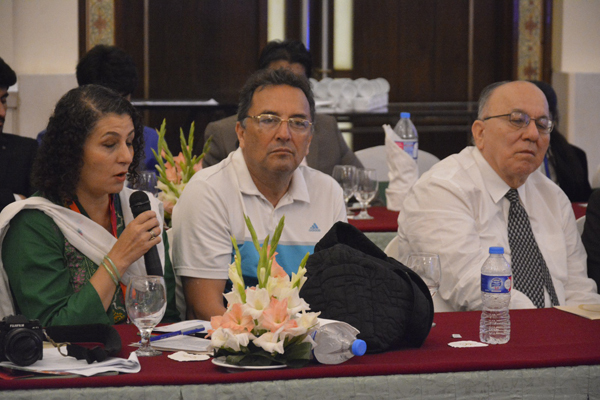 Speakers included Dr Syed Noman ul Haq, Dr Abdullah al Ahsan, Dr Samina Yasmeen and Dr Rabbi Reuven Firestone. 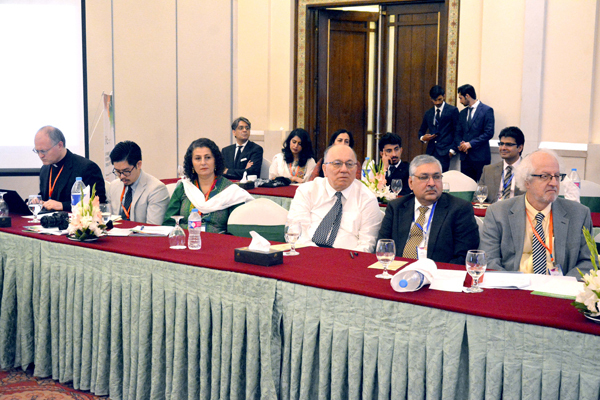 The second day of the Conference concluded on a special Dr Mumtaz Ahmad memorial lecture by Dr John Esposito. 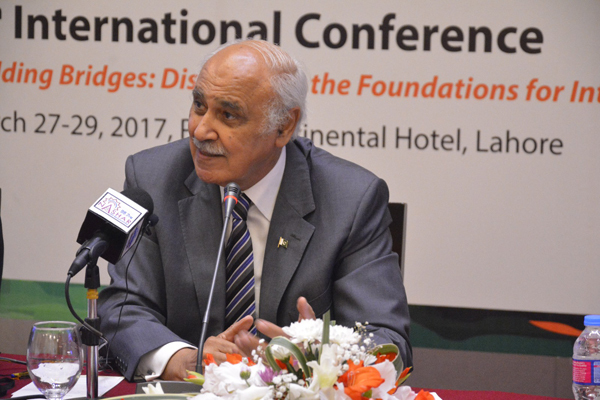 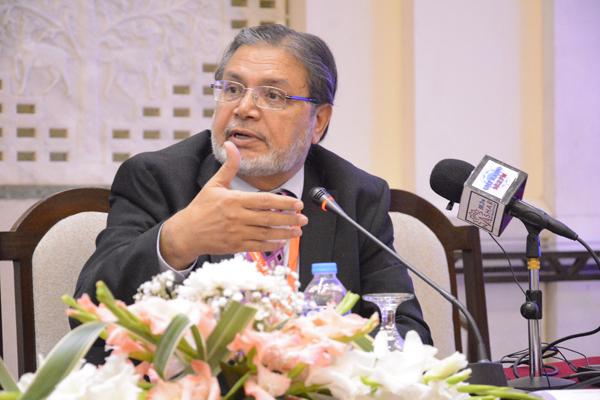 He delivered a lecture on ‘Islam and West: What Next?’ Mohammad Mian Somroo, Former Chairman Senate, presided over the ceremony.